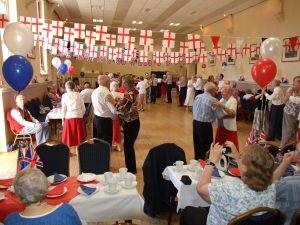 St Michael and St John ’s Ladies Group run a Tea Dance on the third Wednesday of every month. 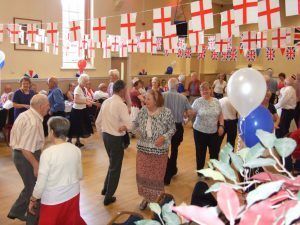 On the occasion of the Queen’s 90th birthday, 20th April, 2016, we held a special celebration – the hall was decorated with red, white and blue bunting, flags were on each table and everyone came dressed in red, white and blue. 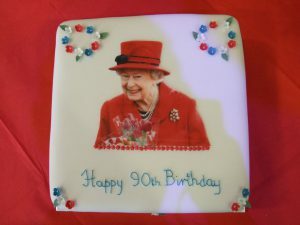 A celebratory cake was made by one of our members, we had a glass of wine and a toast to her majesty. 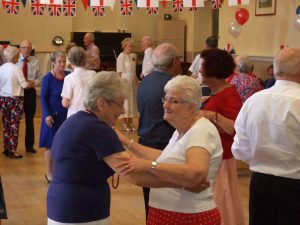 Photographs were taken of this memorable occasion and sent to the Queen – including poster, cake, committee and dancers. 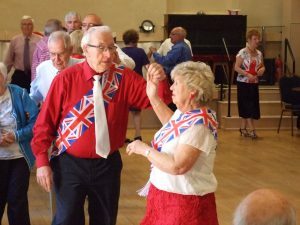 We have received a letter from the Queen, see below, together with some photographs of the day. 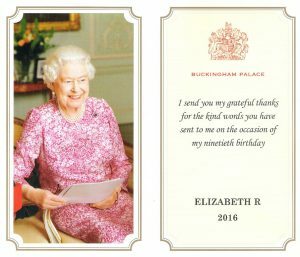 have sent on the occasion of Her Majesty’s ninetieth birthday. 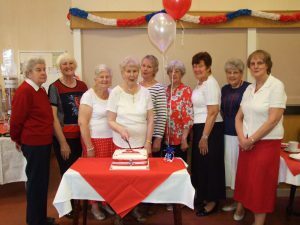 interested to hear a little about St. Michael and St. John’s Ladies Group. in honour of her special day and hopes you all had an enjoyable time. you, once again, for your thought for The Queen at this time. 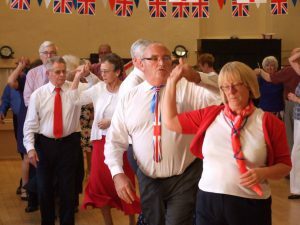 Posted in Clitheroe, Dunsop Bridge, Event Reports, Ladies Group, Sabden, Weekly View.